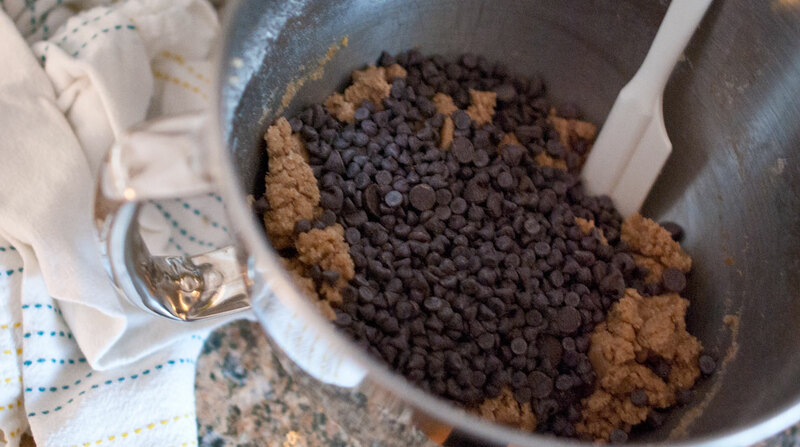 Chocolate chip cookies are undoubtedly the stuff my dreams are made of. I remember walking past those aromatic cookie shops in the mall when I was younger and admittedly was more excited to score a bag of a dozen cookies than whatever I would purchase at Wet Seal. Now that I’ve dated myself and exposed my dirty high school secrets, how about I just the recipe for this fine confectionary concoction? It’s a perfect treat to make a big batch of and freeze the remaining mixture. It’s more of a personal dessert to keep on hand rather than something to serve to a group of guests – mostly because you’ll need as many skillets as there are guests, and it’s just a perfect treat to enjoy while you’re catching up on TV while curled up in a blanket. I found my skillets at a local restaurant supply store, but a similar skillet can be found here. 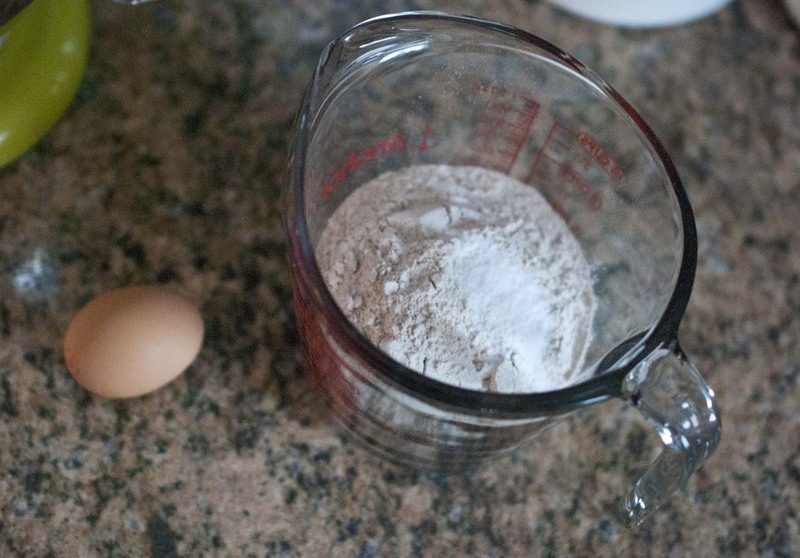 Mix together the first three dry ingredients: flour, baking soda, salt. 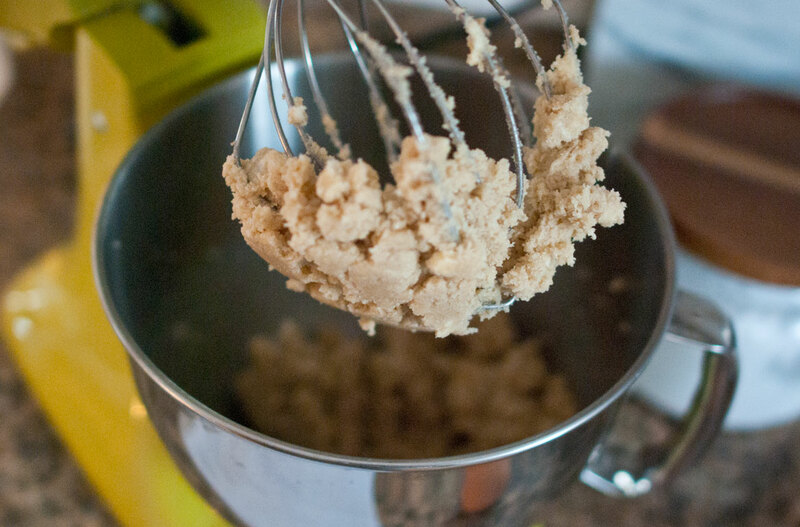 Using a hand or stand mixer, cream together the butter and sugars until it reaches a well-blended and spreadable consistency. 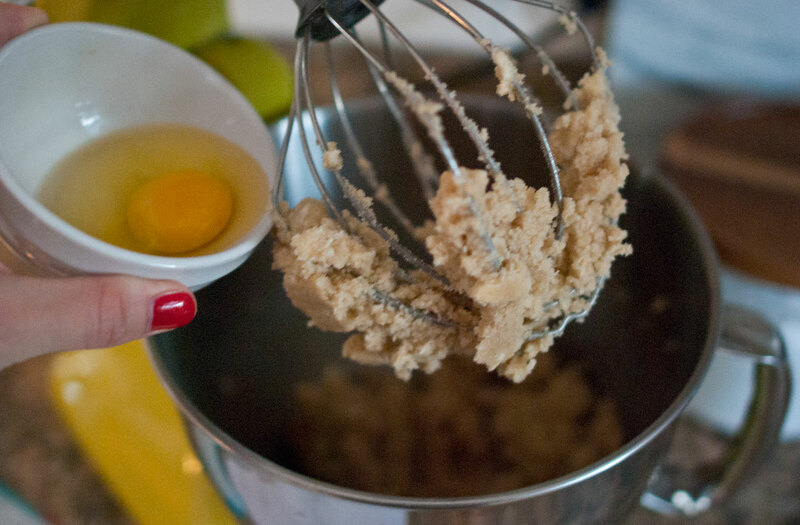 Add in 1 large egg and 2 teaspoons pure vanilla extract and mix until blended. Slowly pour flour mixture in, about a third at a time blending fully until adding more. Be careful not to overmix. 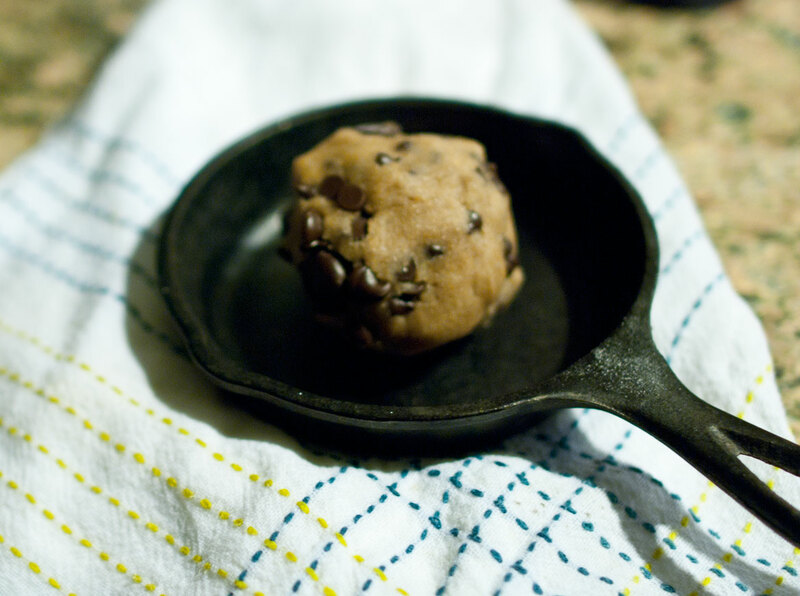 Then fold in the chocolate chips using a spatula. 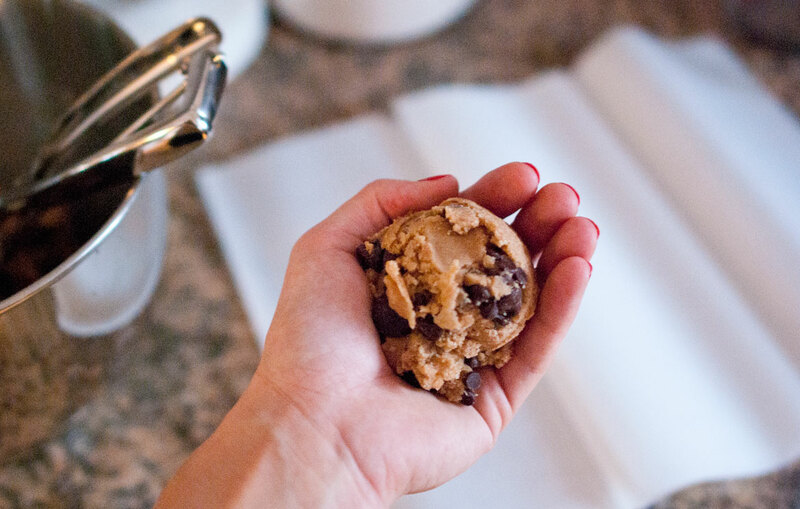 Scoop palm-sized dough balls with an ice cream scoop and roll into smooth circles. Place on wax paper. 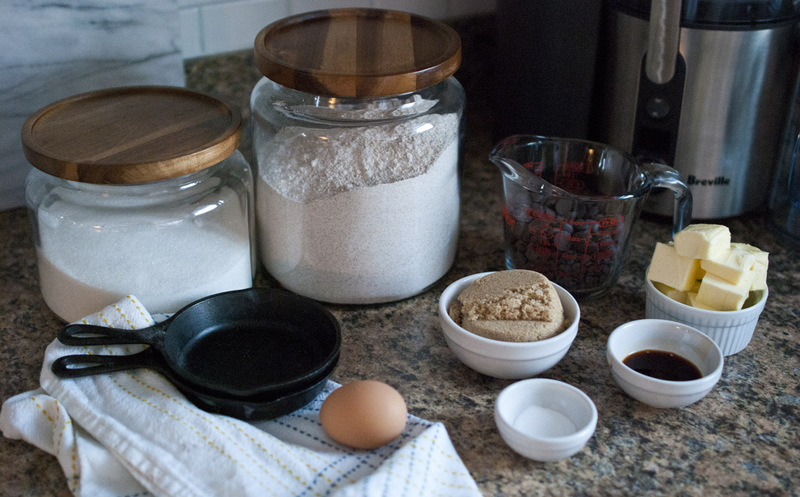 Flatten the dough ball into a saucer. 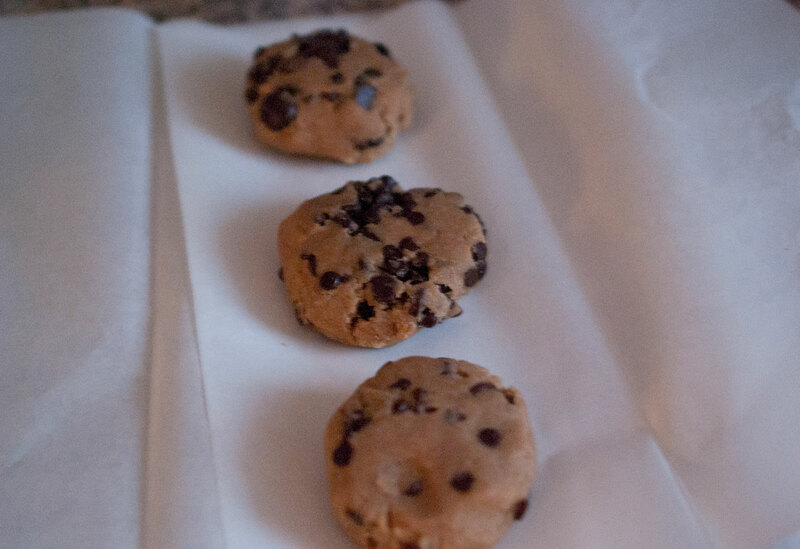 Stack on sheets of wax paper until you’ve formed all the dough into balls/saucers. Tuck the wax paper sheets with dough into a freezer bag. Before baking, preheat the oven to 350° and remove a serving of dough from the freezer. Place in skillet until it reaches room temp. Bake for 10 minutes at 350°. Serve topped with a scoop of ice cream and enjoy immediately. I’d like to give a shout out to our friend Steve who shared this recipe and idea with us. We are eternally grateful for the delicious desserts usually waiting in our freezer to bake at any time. Slowly pour flour mixture in, about a third at a time blending fully until adding more. Be careful not to overmix. 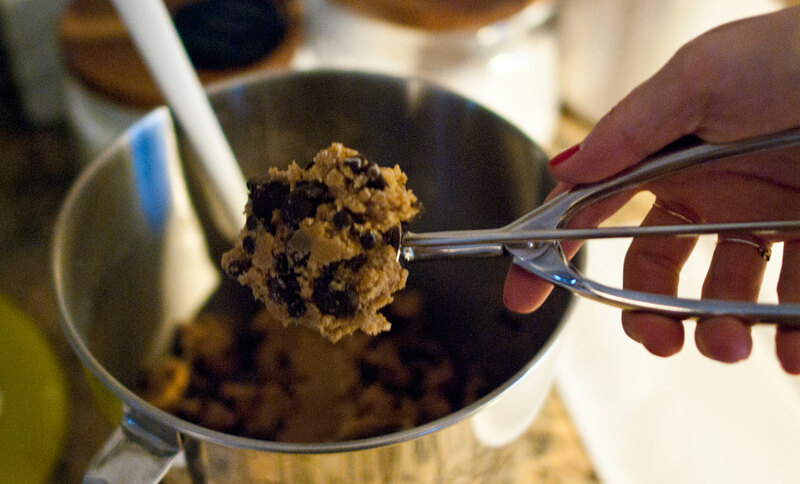 Then fold in the chocolate chips using a spatula. Scoop palm-sized dough balls with an ice cream scoop and roll into smooth circles. Place on wax paper. Flatten the dough ball into a saucer. Stack on sheets of wax paper until you’ve formed all the dough into balls/saucers. 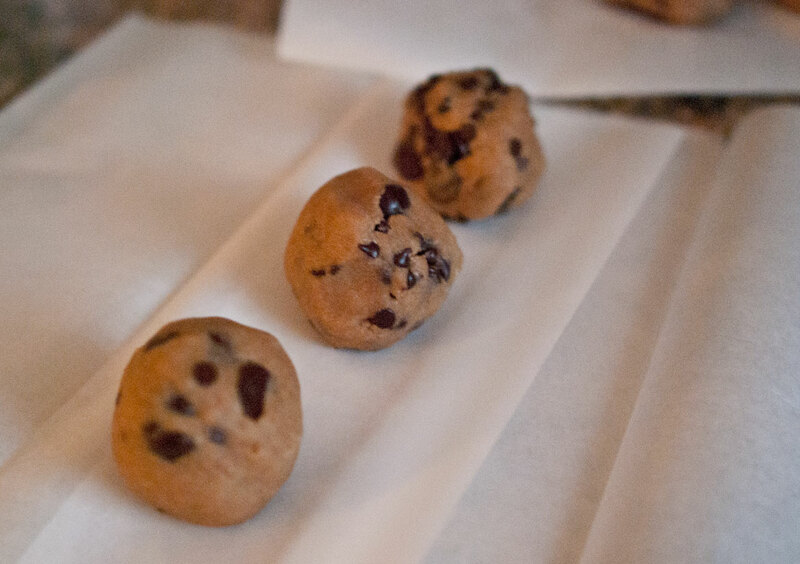 Tuck the wax paper sheets with dough into a freezer bag. Before baking, preheat the oven to 350° and remove a serving of dough from the freezer. Place in skillet until it reaches room temp. Bake for 10 minutes at 350°. 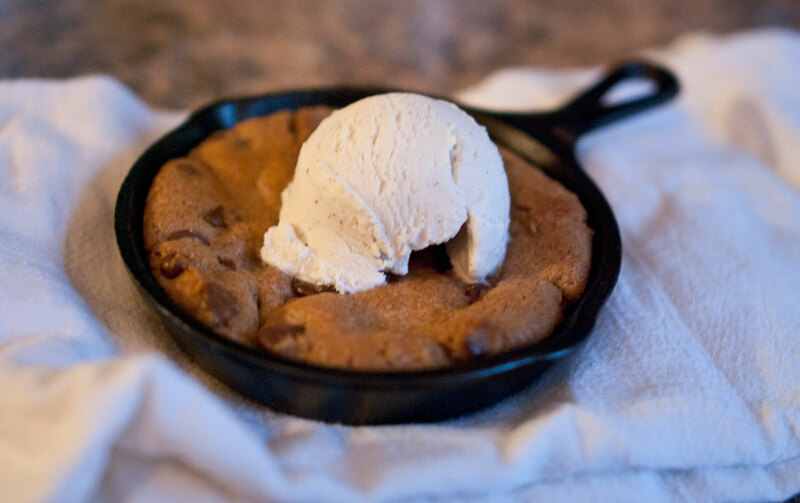 Serve topped with a scoop of ice cream and enjoy immediately.